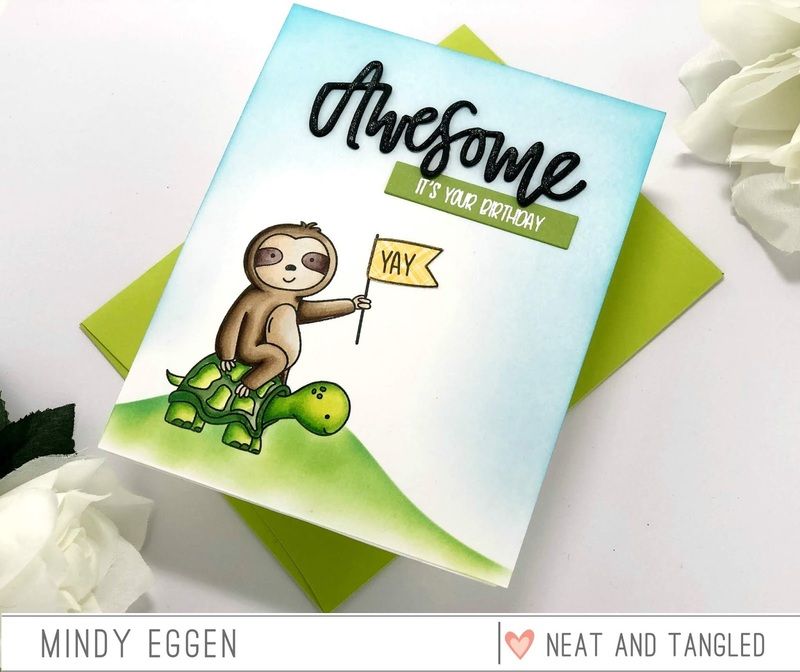 Neat & Tangled February Release Day 4 and GIVEAWAY! Welcome back everyone! 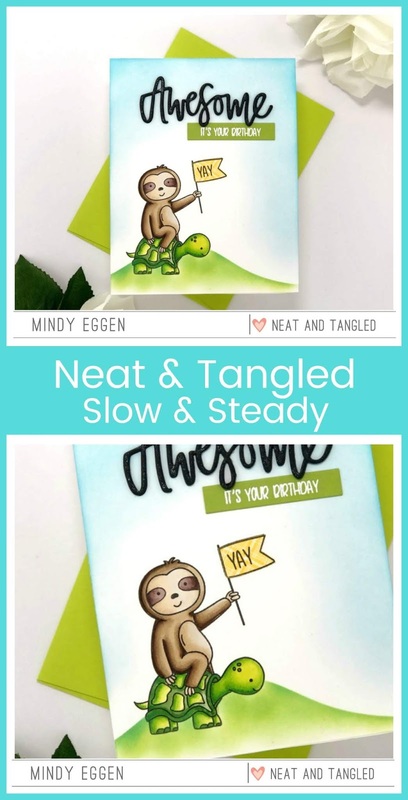 Are you ready for Day 4 with the Neat & Tangled February Release? It’s a super duper cute one ! Introducing Slow & Steady. How stinkin cut is this?! EEK! 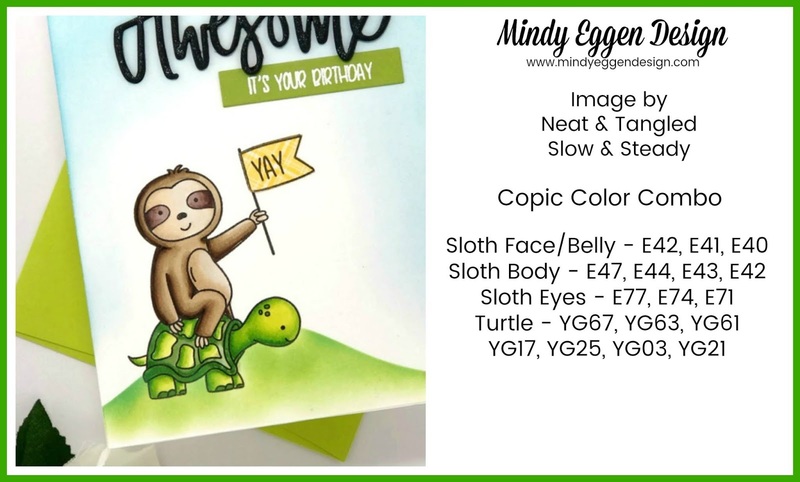 I stamped my image onto Neenah white card stock with Copic friendly ink. Then colored with copic markers. I also stamped the flag onto pattern paper and cut it out to add to my image. Then I stamped the sentiment onto the banner. How fun! I created a mask for part of my image so I could add a hill to my background. I added the hill using the Landscape Duo Stencil with Mowed Lawn and Twisted Citron Distress Oxide ink. I also ink blended Tumbled Glass Distress Oxide around the top portion of the card. I die cut Awesome from black card stock three times and layered with Lawn Fawn liquid Glue. I masked off a portion of the sentiment and heat embossed in white onto Cilantro card stock. Then used the new Skinny Strips die to cut it out. These Skinny Strips give such a clean look to your sentiments. I’m in love with this sloth! How about you!? Be sure to leave a comment for a chance to win the giveaway and then head to the Neat & Tangled blog for more inspiration! Release is tomorrow! Yippee!! Here are some boards you can Pin for later! Affiliate links are used at no cost to you. 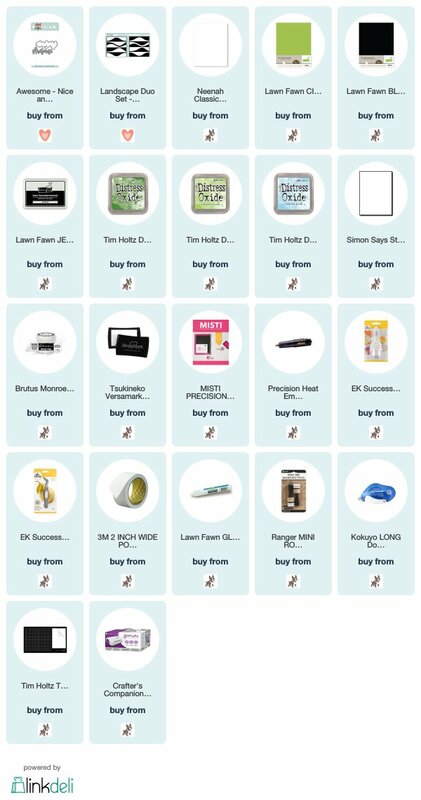 Click the picture below to shop. I will update the links once the new release is available. So cute. I like your coloring and the scene you created. Awww!!! Too sweet and cute!!! Beautiful combo of colors!!! Love this adorable card and your coloring is beautiful. I agree, the sloth is the cutest. The Slow and Steady set is definitely on my wish list. 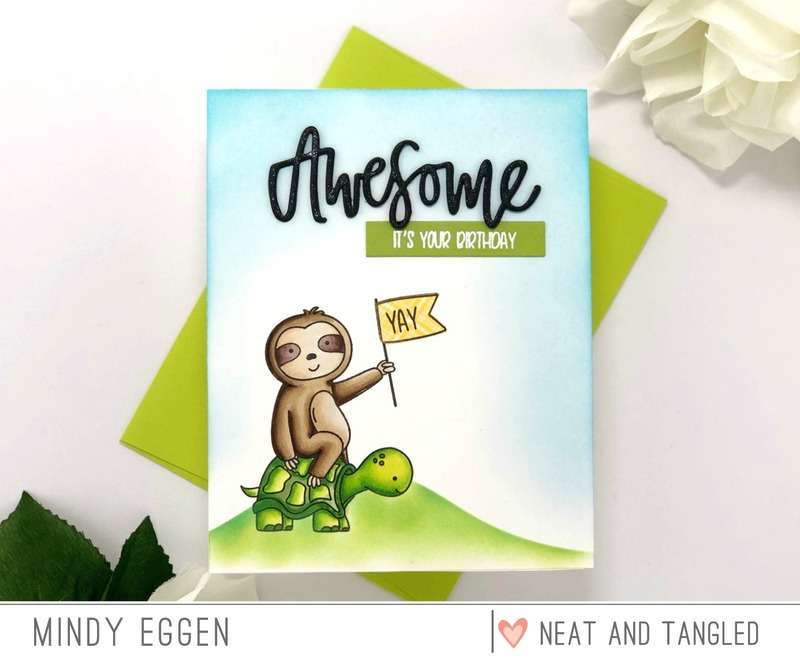 Great coloring of the sloth and turtle, and I like your background. So soft,and it doesn't detract from the critters. Very cute! So cute, sweet & gorgeous coloring. Adorable card with such pretty coloring! Love the Slow & Steady image! with the turtle and friend. Fabulous card! Your coloring is amazing! Such a sweet birthday card! Fabulous card! Love the scenery you paired with this cute duo. Super, duper cute!! Your coloring is fabulous! These two are my new all-time-favorite stamp!! LOVE how you created a neat scene for them! Your coloring is so smooth and blended, very nice! Never thought I'd see a sloth riding a turtle, how cute! Your card is gorgeous – the colouring is beautiful and the background is beautifully blended.